A wine mask? Sounds good to me! 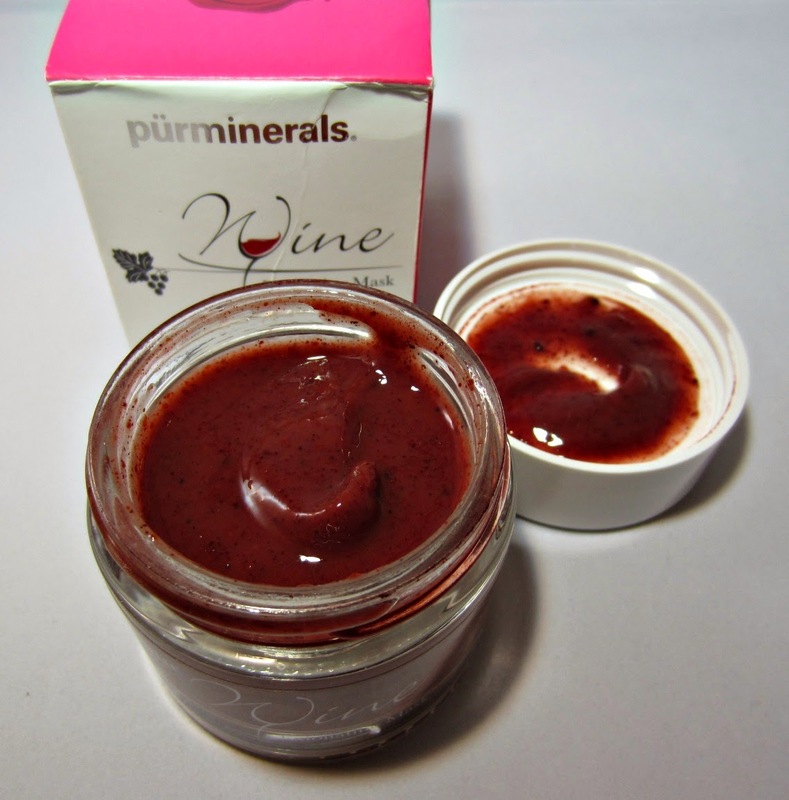 Pür Minerals offers a delightful product that's beneficial for your skin, and the scent will convince you there's a glass of Cabernet Sauvignon waiting nearby. 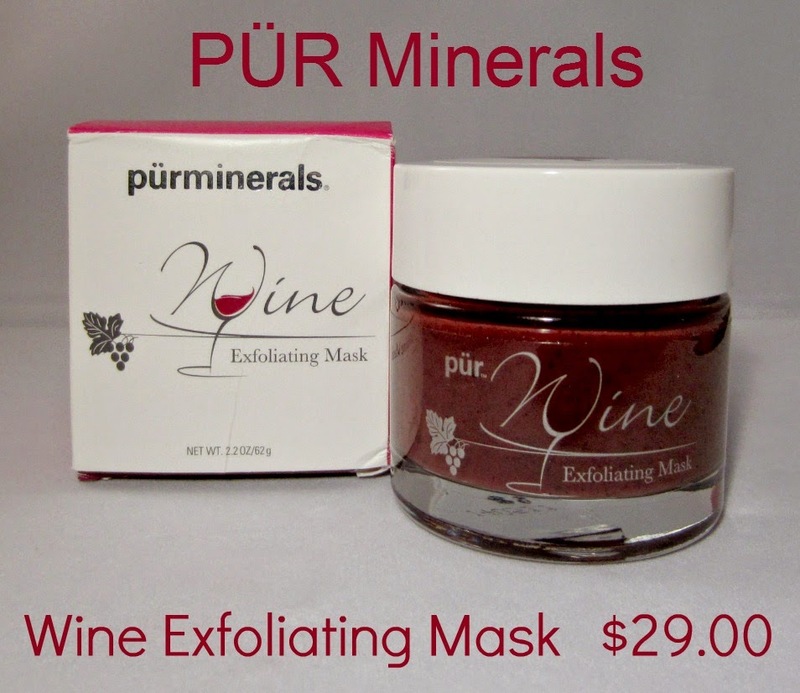 The Wine Exfoliating Mask from Pür Minerals is available for $29.00 (2.2 oz.). It comes boxed, and the product itself is housed in a heavy glass jar. The mask is of medium consistency--almost gel-like, and while it's called a "mask", it's not something you have to leave on and let it dry. You simply apply it to damp cleansed skin, gently rub the product in a circular motion to exfoliate, then rinse. I use mine in the shower, then leave it on for a couple of minutes after rubbing it in before rinsing. It is recommended as a weekly treatment, and I think this product is going to be perfect to keep those pesky winter dry patches at bay this winter. Let's just hope we don't have another Polar Vortex, or I'm going to be drinking a lot more wine and using this product more too! Be sure to use a gentle motion when rubbing this in, because as tempting as it is to think if you rub harder, it's working better, that isn't the case. This isn't a scrub in my mind, so much as it's a treatment. It's packed full of antioxidants, which work on fine lines, uneven skin tone, and dark spots, resulting in healthy, glowing skin. Below is a look at the ingredients, and this product is Cruelty-free, Paraben-free and Gluten-free. I've only been using this for two weeks now, but I already love it. It does an excellent job of buffing and exfoliating my skin, leaving it oh so soft and smooth. Pür Minerals has done their homework and included some of the best natural ingredients for anti-aging in this mask. I always make sure to apply this to my hands, neck, and decolletage also, as those areas need treatment as much as your face, and often get overlooked. This is the perfect mask to repair your skin from the Summer's heat and sun damage, and transition to preparing and maintaining it for the cold and dry Winter ahead. Pür Minerals is available on their website, as well as at Ulta, Kohl's, and other retailers. Product furnished for editorial consideration.